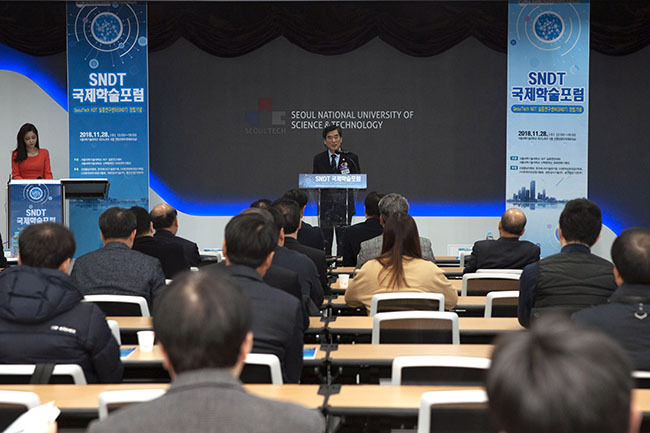 On November 28th, the SNDT International Academic Forum was held at the 12th floor of the TechnoCube Convention Center, marking the foundation of the NDT Empirical Research Center. In the first half of the forum, a presentation introduced the SNDT, established in July 2018 to respond preemptively to the data innovations of the Fourth Industrial Revolution. Following the presentation was a lecture on the topic "Global Energy Conversion and Response Direction" by Jinsu Shim, head of the Department of Energy and Technology, Ministry of Trade, Industry and Energy. In the second half, special lectures were given by Professor Michael Turnbow, former chairman of the American Society for Non-Destructive Testing (ASNT), Professor Soichiro Hirose of Tokyo Institute of Technology, and Professor Kim Jin-yeon of Virginia Tech. The center also revealed plans to design a big data platform for non-destructive inspection. Integrating technologies based on the Fourth Industrial Revolution such as the Internet of things (IoT), artificial intelligence (AI), and cloud systems, the center aims to build, analyze and share NDT big data. Companies such as GE have already been putting together big data platforms that combine IoT with NDT facilities. Most importantly, nondestructive testing is a research technique that aims to determine whether a structure is sustainable. Therefore, the more NDT data accumulated, the more accurate structural analysis and evaluation can become. 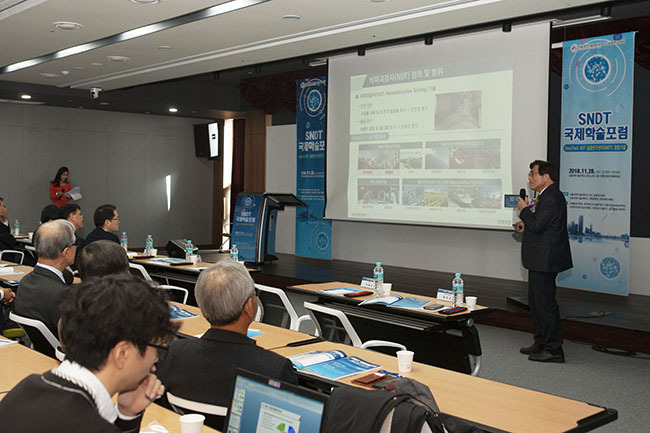 The NDT Empirical Research Center at SeoulTech will become a leader in promoting empirical research in the field. SeoulTech will continue focusing on promoting Fourth Industrial Revolution technologies while fostering practical talents.